You'll want to try these old fashioned pudding dessert recipes. They're quite easy to make, and they are some of the best puddings ever made. The old time Nantucket pudding is delicious, and the raspberry cracker pudding is to die for. You'll also enjoy the transparent pudding; it's tasty and unique, as are the saucer puddings. Be sure to try them all. Two large, raw, grated carrots, three cupfuls of bread crumbs, six tablespoonfuls of flour, six heaping tablespoonfuls of finely chopped suet, half a cupful of Sultan raisins, one cupful of stoned-and-halved dates, a quarter of a cupful of chopped citron peel, two tablespoonfuls of blanched-and-chopped almonds, one teaspoonful of powdered ginger, three well-beaten eggs, half a teaspoonful of salt, half a cupful of molasses, and one cupful of milk. Mix all these ingredients together, pour into a buttered mold and cover with a buttered paper, and steam for three hours. Serve with hot milk, rich cream, or a sweet dessert sauce. Use stale bread and two cupfuls of lemon or other fruit-flavored jelly. Cut the bread into small dice. 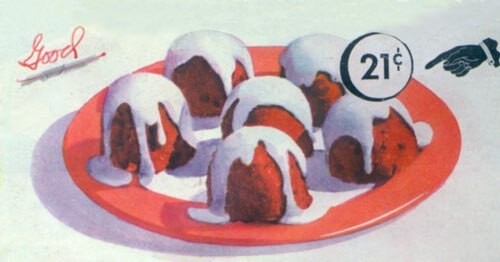 Fill a buttered mold nearly full of the dice, pour over it the jelly, hot, and leave in a cool place until it has set. Turn out when firm and serve with sweetened whipped cream. Six ounces of breadcrumbs, one cupful of thick cream, half a can of apricots, two tablespoonfuls of browned breadcrumbs, three tablespoonfuls of sugar, one teaspoonful of vanilla extract, three eggs, and a quarter of a teaspoonful of salt. Whip up the cream until stiff, then add the yolks of the eggs, the salt, sugar, vanilla, and the whites of the eggs beaten to a stiff froth. Butter a mold and dust it with the browned breadcrumbs, put in a layer of the white breadcrumbs, then a layer of the apricots and some of the mixture, continue this until the mold is full. Bake for thirty minutes. Serve decorated with sweetened whipped cream. To make this traditional pudding dessert recipe, put 1 quart ripe blueberries, 3/4 cup sugar, and 1/2 cup water in a large pot, cover with a lid, and boil gently until there's plenty of juice. Drop the dough by spoonfuls onto the hot blueberries in the pot. Tightly cover the pot and cook for about 15 minutes without removing the lid. Serves best while hot. 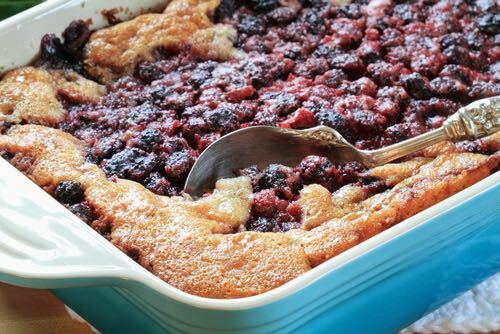 It's also good when made with raspberries, blackberries, rhubarb, apples, or strawberries. Sift the flour, baking powder, salt, and sugar into a bowl. Cut in the butter and shortening and add enough milk to make a soft biscuit-like dough. Mallow Mint Sauce: Mix 1/2 cup sugar and 1/3 cup water. Boil 3 minutes. Add 1/8 teaspoon cream of tartar. Cut 8 marshmallows into pieces. Stir pieces into syrup. Add a few drops peppermint or finely crushed mint candies. Melt butter, then stir sugar, flour, salt, and walnuts into butter, then pour over apples in baking dish. Bake one hour. Enjoy historical puddings once served to the First Family in the White House dining room and at official functions! Sift together a pint of flour and a teaspoonful of baking powder into a deep dish, sprinkle in a little salt, adding also a tablespoonful of melted butter. Stir into this gradually a pint of milk; when quite smooth, add four eggs, yolks and whites beaten separately. Now add enough more flour to make a very stiff batter. If liked, any kind of fruit may be stirred into this; a pint of berries, or sliced fruit. Boil two hours. Serve with cream and sugar, wine sauce, or any sweet sauce. For this fine pudding dessert recipe you need one large teacupful of cracker crumbs, one quart of milk, one spoonful of flour, a pinch of salt, the yolks of three eggs, one whole egg, and half a cupful of sugar. Flavor with vanilla, adding a little pinch of salt. Mix together. Bake in a moderate oven. When done, spread over the top, while hot, a pint of well-sugared raspberries. Then beat the whites of the three eggs very stiff, with two tablespoonfuls of sugar, a little lemon extract, or whatever one prefers. Spread this meringue over the berries and bake a light brown. Serve with fruit sauce made of raspberries. Two eggs well beaten, one cupful of sweet milk, sifted flour enough to make a stiff batter, two large teaspoonfuls of baking powder, a pinch of salt, and as many cherries as can be stirred in. Boil one hour or steam and serve with liquid sauce. Cranberries, currants, peaches, cherries, or any tart fruit is nice used with this pudding dessert recipe. Serve with a sweet dessert sauce. A small cupful of fresh butter warmed, but not melted; one cupful of sifted sugar creamed with the butter; a teaspoonful of nutmeg, grated; eight eggs, yolks and whites beaten separately. 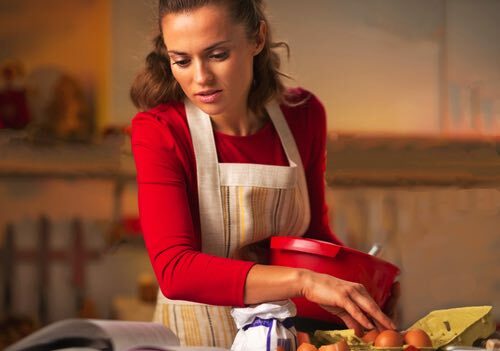 Beat the butter and sugar light, and then add the nutmeg and the beaten eggs, which should be stirred in gradually; flavor with vanilla, almond, peach, or rose water; stir hard; butter a deep dish, line with puff paste, and bake half an hour. Then make a meringue for the top and brown. Serve cold. Wash two teacupfuls of rice and boil it in one teacupful of water and one of milk, with a little salt; if the rice is not tender when the milk and water are absorbed, add a little more milk and water. When the rice is tender, flavor with vanilla, form it into little balls, or mold it into a compact form with little cups; place these rice balls around the inside of a deep dessert dish, fill the dish with a rich soft custard and serve either hot or cold. The custard and the balls should be flavored with the same flavoring preferred. 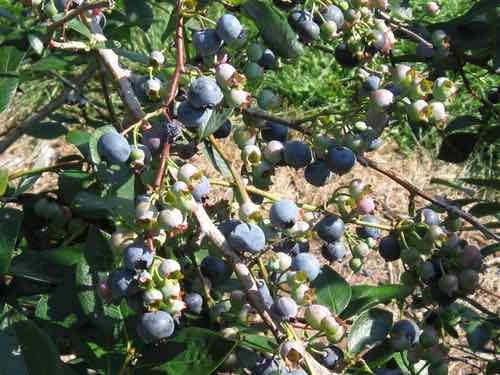 One quart of berries or any small fruit, two tablespoonfuls of flour, two tablespoonfuls of sugar; simmer together and turn into molds; cover with frosting as for cake, or with whipped eggs and sugar, browning lightly in the oven; serve with cream. For this pudding dessert recipe you need two tablespoonfuls of flour, two tablespoonfuls of powdered sugar, three eggs, a teacupful of milk, butter, preserve of any kind. Mix the flour and sugar, beat the eggs, add them to the milk, and beat up with the flour and sugar. Butter well three saucers, half fill them with the mixture, and bake in a quick oven about twenty minutes. Remove them from the saucers when cool enough, cut in half, and spread a thin layer of preserves between each half; close them again, and serve with cream.